New Zealand School Experts answer your questions about the NZ School system and suitable Schools in NZ - Get help choosing the right School in New Zealand! Apply now to attend a school in NZ! Your child can visit a school in New Zealand with us! Go to New Zealand is a free guide for international school students, parents and teachers about studying at a School in New Zealand K-12. ..to achieve the advantages of the internationalized education system. For more information about our School New Zealand Services, please contact us. Why is a NZ School the best option? Why Choose a School in NZ? Go To New Zealand is a Network which prides itself on its knowledge of all Educational avenues available in New Zealand for International Students. With extensive information on Secondary Schools, Universities, Training Institutes and Language Schools. Go To New Zealand is available to help international students in finding the most suitable Education provider. With staff who are happy to help with planning the students future study path, which will help the student achieve success. Providing international students with advice on the New Zealand Education system, counselling about study opportunities, communication with course providers. As well as helping with Enrolments, Applications and Bookings. Click here to Apply and attend a school in NZ! Please be aware that schools in New Zealand charge tuition fees of around AU$5000 per term (1/2 year). To find a school and learn more, just contact our student service. Our service is free of charge and we usually reply within 24h. New Zealand Schools offer a great range of qualifications that are internationally recognised and easily transferable. Schooling in New Zealand starts at the age of 5. New Zealand children spend the first six years studying at the primary level and when they reach the age of eleven, they either pursue two more years at their primary school or at a specialist intermediate school. This schooling phase is called the intermediate years and this precedes high school. At the age of 13, students go to high school and this is divided into two divisions - junior secondary and senior secondary. The junior years are between years 9 to 11 and the remaining years form the final stage of schooling. In total NZ children spend 13 years in schooling. The senior years are spent in pursuit of the National Certificate of Educational Achievement (NCEA). Completion of this qualification is dependent on acquiring the required number of credits in study of certain subjects. This can potentially be a pathway for university entry and most university admissions are qualified high school graduates. There is another option for senior students. They can leave school, after Year 11 or 12 to pursue training or vocational pursuits but this would disqualify them from university admission. Hence, 6 years from primary schooling followed by two years of intermediate schooling culminate in 5 years of high schooling for a total of 13 years in the NZ education system. The primary and intermediate stages of schooling emphasise basic literacy, numeracy and research skills. At the high school level, students are able to make subject choices such as history, geography and the sciences. This specialisation could form the basis for university entry into a particular of field of study. Acceptance into a high school for international students is dependent on their English language ability and this will determine their subject choices and study level. If students are found wanting in the required English language standards, then they may be required to undertake. Primary education commences at five years of age and generally ends in the eleventh year, two years for intermediate schooling, and secondary education is compulsory until age fifteen. Courses are general in the first two years running on to more specialized studies in the next three years. Qualifying examinations for a school Certificate (which is a national examination) take place at the end of the third year. In the fourth year is normally a national sixth form certificate qualification. A fifth year of study can qualify a student for university studies at a higher rate of bursary by means of an appropriate pass in the bursary of scholarship examinations. We provide you with information about the New Zealand school system and its institutions which offer a wide range of courses and qualifications. New Zealand has an international reputation as a provider of quality education. Our educational system is progressive with many state of the art facilities. We can offer you courses for academic, professional and vocational studies. The New Zealand school system is very popular among international students. And there’s an increasing diversity of students taking part in international education. greater awareness of equity issues in international education. The school system in New Zealand has two stages of schooling – primary schools (years 0-8) and secondary schools (years 9-15). New Zealand Free Kindergartens for children between the ages of three and five. Education and Care Centres, for children from birth to school age. Home-based services, which are a cluster of homes under the supervision of a qualified coordinator. The Correspondence School, a distance education service mainly for children between three and five who are unable to attend school or have limited access to school because of isolation, illness or itinerancy. Technology-aided education has become quite popular in various schools in New Zealand. The students are given opportunities to learn concepts through game-based assessments or interesting visuals. Many New Zealand schools have taken up steps to make school life fun-filled and inspiring by introducing computer-aided interactive sessions. The interaction of students with technology at such a young age has ushered a new beginning in New Zealand education system. Computing not only helps a school student to learn about information technology, it also helps him or her to look at a concept in a totally different angle. Teachers help to guide the students to use information technology as their learning tool. Many schools have also introduced blended learning where the curriculum cannot be complete without the use of computers. These schools include state-aided, state integrated, and private schools. Attractive, appealing, and accurate, computer-aided education has motivated young minds effortlessly. Consider this: primary school students get a taste of simulation to understand a concept in science. The visuals are attractive, intensely graphic oriented, and three-dimensional that is just perfect for students to imagine the concept. On the other hand, story-telling can be quite tempting through animation and cartoons. Keeping in line with the international market, the schools have been offering education where the traditional approach of one-sided passive lecture of the teacher is replaced by “tell and test” approach. The students take part in the learning and find out various principles themselves through experimentation. Once the learning is complete, it is also necessary to test the skills appropriately. Here again, computer-based assessments have been coined. Games are introduced to invite curious school students. The assessment is no longer just the testing of one’s “comprehension” but understanding of the subject. Students have to analyze the game, play successfully as a player, and win the game. Rewards are attractive no doubt. But, what the child also earns is a true assessment of its learning. In top schools in New Zealand, students and teachers use the intranet to communicate, assemble and interact, and hone their skills. A student for instance, would know where to approach a video game to learn a concept, how to apply for an assessment, attend an online group meeting, and so on. Teachers too, can check out the missed out points, resources, or activities. They can motivate students, allow them to think from a different angle, and assess the performance of each student effortlessly. The future of a child depends on the primary education on the whole. As it is compulsory for the kids to have education till 16 years of age, care must be taken to give the best form of education. During this period – Year 0 to Year 8 – students develop their learning ability, personality, and interests. With the introduction of computers and information technology, the development is detailed and accurate. Computing also helps the primary students to imbibe education through entertainment and motivation. Currently, New Zealand secondary school students study for the National Certificate of Educational Achievement (NCEA). This qualification replaced the old School Certificate in 2002. What is NCEA? This is New Zealand’s new secondary school certificate and is based mainly on external examination and internal assessment methods. It is equivalent to the: English General Certificate of Education (GCE) for students studying NCEA Level 1English A Levels and Australian higher school certificates for students studying NCEA Level 3University entrance examination for students intending to use credits for purposes of gaining tertiary entryTertiary InstitutionsState ownedThese educational institutions include universities, colleges of education and nanga (Maori education centres). They are state-funded and highly responsive to local and international student demand for coursework and research programs. For more information about our School New Zealand Services, please contact us. As a school student, your day will probably begin around 7am for breakfast, like most New Zealanders on week days. Then the school starts at around 8:30 am, has a lunch break in the middle of the day, and finishes at about 3pm. After school you’ll probably spend time with your friends, or with people at home, before dinner at around 6pm, followed by your nightly routine, which may include friendly chit chat or watching a bit of television, as well as some study. On the weekends you’ll have more time for relaxing and socialising after the busy school week. while you study, but you won’t have to do a huge amount of housework to live decently. You’re also likely to be happy with your living arrangements, your safety and security, your actual living space and your overall experience of home life as a school student in New Zealand. The New Zealand government has been careful to ask international school students about their experiences and this is what the students have told them. While you’re a student, you’re likely to have support and encouragement from other international students when you get a bit homesick or lonely, which happens to a lot of people until they settle in a bit more. The friendly New Zealanders, especially in your homestay, will look after you and help you find your way around in your new location, and staff at your school can give you a lot of practical help about the school, the language and the courses. If you want to get a bit more involved in your local community, there may be cultural groups in the community that you can connect with. You can make friends with the locals and other international students, so don’t be shy and don’t worry too much about language differences. You’ll do okay - if you’ve got enough language skills to study at school, you’ve got enough skills to make friends. Take the chance and enjoy your stay. New Zealand Schools meet the highest education standards and offer courses for international students. Get help choosing one of the New Zealand Schools! Ask us about suitable Schools in New Zealand! School is compulsory in New Zealand between the ages of 6 and 16. Highly regarded government-funded education is called state school where the majority of the students attended. New Zealand has over 2,000 primary and secondary schools. State schools and state integrated schools are primary funded by central government. Private schools receive a lower level of state funding (about 25% of their costs). Years 1 to 8 (aged 5 to 12 years): Some primary schools may admit students only at Years 4 or 5 to Year 8. There are many primary schools in New Zealand; state-funded, private, independent and boarding. It is recommended you choose a good school for your children by seeking and gather information on the school you intend to apply for your children. There are many websites you are able to look up to; compare them, and it is best to consult the schools yourself so as to ensure it is qualified and meet you and your children’s needs. Composite Schools admit students at different levels (primary and secondary students). These may include preschool or Year 1 to Year 13, or Years 7 to 13. Secondary schools are mostly government funded, but there are some private or integrated schools, and they are mostly self-funded. International students mostly enrol to study in the senior secondary school; years 11, 12 and 13, aged 15-18 years in preparation for tertiary studies in New Zealand or in other English-speaking countries. 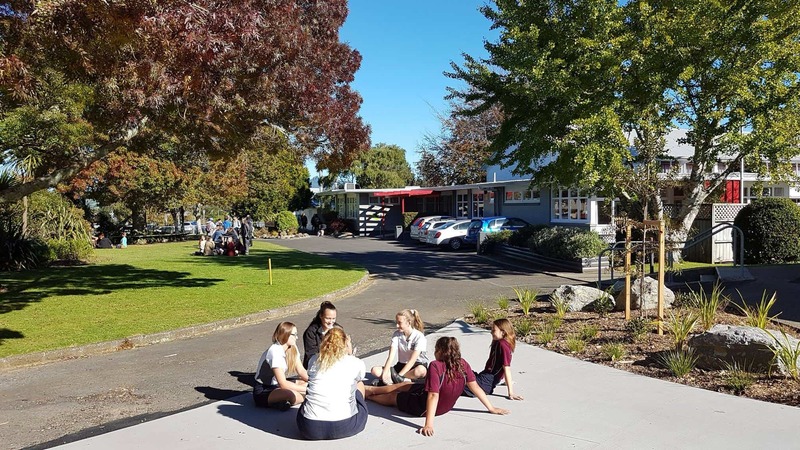 In New Zealand, middle school is called intermediate, for year seven and eight.New Zealand schools are divided into government funded or state schools, independent, private and boarding schools. The quality of education is monitored by the government agency called Education Review Officer. Attended by majority of the students, and rated well by OECD standards. The government ensures children attend the school closest to where they live, but some school facilities have an enrolment scheme to prevent overcrowding. There are forty-three innovative and successful independent schools, educating over 25,000 young students each year; ranging from pre-school to year 13. Independent schools are partly government funded. There are types of independent schools; independent boarding schools, independent private schools and independent both private and boarding schools. This is the main New Zealand secondary qualification and it is studied at three levels - 1, 2 & 3. The levels pursued by individual students depend on their abilities in certain subjects and their aptitude. The New Zealand secondary school assessment system does not run along the old lines of pass or fail. Rather, it highlights what the student is good at and their abilities rather than their weaknesses in particular areas. The assessment grades are ’achieved’, ’merit’ and ’excellence’. ’Achieved’ is roughly the equivalent of a ’pass’ grade while the highest grade represents the pinnacle of achievement. Some schools are day schools only while others provide boarding facilities. These range from weekly boarding for those parents who wish to have their children home in the weekends, to full boarding for parents who wish their children to experience full boarding school life. Depending on the location, parents and children are able to choose an appropriate option to suit their child’s needs and preference. Some schools are co-ed with separate classes for boys and girls, others are co-ed at Years 12 and 13 only. There are several girls-only and boys-only independent secondary schools. For information and choice of your children’s schools, contact one of our counsellors. Who offers places to school age students? New Zealand primary and secondary schools can offer education to international students provided they have been accredited by New Zealand’s Ministry of Education. All international students enrolling for courses of three months or more need a Student Permit to attend New Zealand primary and secondary schools. There are two main kinds of primary and secondary schools in New Zealand. The main difference is the way they are funded, which affects their ability to offer courses to international students: State or integrated primary and secondary schools - schools funded by the New Zealand government. Accredited schools can offer places to full fee-paying international students after all New Zealand domestic and NZAID scholarship students, are placed. Courses or programmes offered for mainly international students must be approved by the New Zealand Qualifications Authority Private primary and secondary schools - schools funded mainly through student fees. These schools can offer places equally to international and New Zealand students. Courses or programmes offered for mainly international students must be approved by the New Zealand Qualification Authority (NZQA). Schools offering courses to international students must have signed the New Zealand Ministry of Education’s Code of Practice for Pastoral Care of Students. Code signatories are listed on the International Education pages of the NZ Ministry of Education’s website. Visit a School in New Zealand. We provide free services! New Zealand's school system has currently been ranked as the seventh best in the world by the Programme for International Student Assessment. This country has well qualified teachers, bigger schools, more facilities and is full of friendly people. During Primary and Secondary school they will generally ask for either a voluntary donation, school fees or a parental contribution. For government schools these fees will be lower however if you choose for your child to go to a Private school then the fee's will be higher. For tertiary education funding is usually through government subsidies and student fees, so fees are usually high unless you are lucky enough to get scholarship which the government offers. If you are enrolled in a full time course in a university there are student loans and student allowances available for those eligible. The Student allowances are determined by means testing which is based on residential and citizenship qualifications, age, location, marital status, dependant children, and personal, spousal and parental income. Student loans are available to all New Zealand Permanent Residents, this can cover course fees and related expenses, aswell as a weekly allowance to full time students. Eventually these loans have to be repaid at a rate depending on your income level. Most children in New Zealand will start off at an Early Childcare centre, such as a playcentre or kindergarten for children aged 3 to 5, also available for children aged 0 to 5 are Childcare centres which can offer full time, part time or occasional care for those who work. Primary and Secondary School is compulsory for any child aged between 6 and 16 with exceptions for those that are 15 and have parental or school permission to leave early. In New Zealand there are three types of schools available State, Private and State Integrated Schools, only the State and State Integrated Schools are Government funded. Private Schools only receive 25% of their funding from the New Zealand Government this is why the fee's are higher. Around 86% of children attend State schools, 10% attend State Integrated schools and only 4% attend Private schools. School level is referred to as years, with Primary School being from years 1 to 6 (Age 5 - 11), Intermediate School from 7 to 8 (Age 11 - 13) and Secondary School runs from years 9 to 13 (Age 13 - 18). When you start school depends on your date of birth, If you where born very early in the year there is a possibility that you may start school earlier then expected. Occasionally Primary, Intermediate and Secondary Schools are joined together and teachers teach in groups rather then years. This is mostly found in rural areas where there aren't enough students to make up class numbers. Instead they will run as Years 1 to 8 as Full Primary School (Ages 5 - 13), Years 7 to 10 as Middle School (Ages 11-15), Years 7 to 13 as Intermediate/Secondary School/College (Ages 11 - 18), Years 1 to 13 as Area Schools (Ages 5 - 18) and Preschool - Year 13 as Correspondence Schools (Preschool - Age 18). For State Schooling which School you will attend depends on your 'Home Zone' , if you are living in the Schools Zone then you will most likely attend that school, this helps with overcrowding of schools. Students who live outside a certain zone can be attend a certain school depending on whether there are enough places available. If there are a number of spaces or applicants students are chosen depending on where they fit into an order of priority. This includes if the child is need of a special programme which only this school can provide, siblings of current students, siblings of past students, children of board employees and then all other students. Not only is education in New Zealand readily available, but with some of the best teachers and schools in the world as well as help from government funding now is a great time to enrol and start an New Zealand Education Plan. For better understanding it’s important to know that more than 80 percent of New Zealand’s population are Britons or Europeans. So it’s not bizarre that the School New Zealand system is similar to the British ones. We all know that the seasons are different to ours. So the school year starts in New Zealand in January (after the summer holidays there) and ends in November. As far as I know, is the school year divided into four terms with two weeks of holidays after every term. New Zealand is held in high esteem because of its school system. Lots of families from all over the world enable their children to stay abroad to get beside an excellent school education some political and cultural expressions. At most schools wearing a school uniform is obligatory. For New Zealand teenager’s daily life takes place in school where they stay up to the late afternoon. 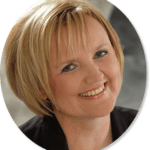 The lessons start at 8:45 and ends toward 15:15. Some spend their leisure time with his sports team or in one of the numerous clubs. Even those who want to study on that island country don’t miss out because of various institutions such as tertiary institutes or English language provider. Also, pack your things and hurl yourself into adventures! Request an enrolment form to be sent by email. Print and fill the enrolment form in and return it by post, fax or email attachment. If you want to study for more than 3 months, you will need a student visa. If you want to study for 3 months or less, you can come to New Zealand with a tourist (visitor) visa or a work (working holiday) visa. People from some countries do not need a visa to come to New Zealand. Young people from specific countries between 18 and 30 years old can get a working holiday visa. Students can do part time work while studying, if they study for more than 6 months and they have a good level of English. Students must score 5 (intermediate level) or more in the IELTS English test and apply for a variation of conditions to work. We can arrange the English test and the application for the variation of conditions. Students can apply for a work permit for a full-time job if they have an "offer of employment" from an employer. We can arrange airport pickup for you. Can I continue studying when my course finishes? Yes. You can extend your course. We will arrange a new visa for you if required. Can somebody help me in my own language if I have a problem. Yes. Our counsellors will help you to solve any problems.